Galaxy Farms main focus is a show barn; however it is not required to show. 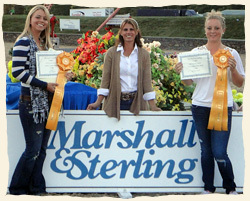 The art of riding, showmanship and the goals to succeed are geared for the winning edge whether riding at the barn or at the show. Galaxy works a show schedule throughout the year so that riders at all levels of riding may enjoy attending a show that fits their needs. 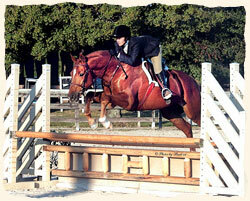 Local schooling shows and 'A' rated circuit shows are in the mix. 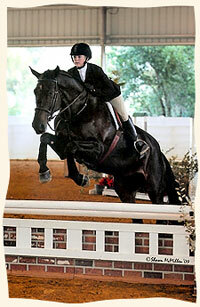 Private hauling to shows is available for Galaxy's showing boarders. 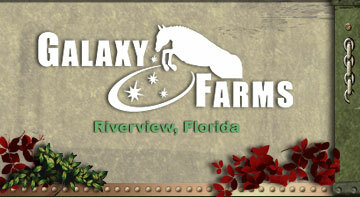 Galaxy Farms may be just what you (and your horse) were looking for!